Boeing 787-9. 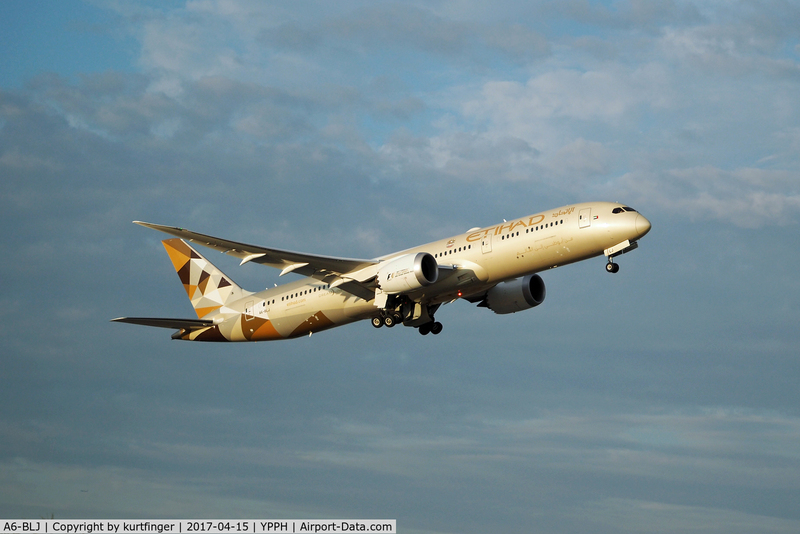 Etihad A6-BLJ. Departed runway 21, Perth Int'l.